WEBZINES NET SERIALS SF &AMP FANTASY WRITERS TV &AMP FILMS ARTWORK MISC LIST MEMBERS LINKING TO US! I intend to turn this page into a directory of Fantasy and SF related sites. Aphelion: The Webzine of Science Fiction and Fantasy: Impressive webzine with Fantasy and SF fiction and some non-fiction articles. Bi-monthly. Dragon's Lair Webzine: Another bi-monthly with Fantasy and Science Fictino stories. DARGONZINE: This is an excellent email magazine set in a shared fantasy world. DARK PLANET: Featuring,some fiction, poetry and non-fiction. The website keeps an archive of older work and allows you to vote for your favourites. Eternity Magazine - An online journal of the speculative imagination. Includes fiction, poetry, virtual art gallery, writer's den, and best of the web award. Titan Webzine -- Science Fiction & Fantasy: A fairly new webzine, also bi-monthly. Includes book reviews and articles as well as fiction. 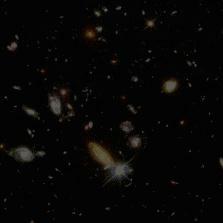 Sometimes The Universes Seem Small: A SciFi Serial. Mark E Jones: Author of the e-novel "Wings Of The Valiant". You can find a preview of the novel at his site. Steve Lazarowitz: A semi-professional SF writer, who has been published in Jackhammer, Titan Zine, Little Read Writing Hood (in SF, Fantasy, Childrens and Romance sections), Dragonsclaw and NetNovels second anthology. The Metropolis Home Page: Loads of info, sounds and pics from the classic Fritz Lang film Metropolis. TheForce.net: Looking for information about Star Wars, its sequels and the upcoming prequels? Its here. SOLVISTA: subtitled VISIONS BEYOND THE OBVIOUS. On these pages you can find information and some example artwork from the artists CDs. I think you may be impressed. Speculative Vision: A huge directory of Fantasy and SF sites. The Internet Top 100 SF/Fantasy List: The top 100 SF/Fantasy books and short stories lists, as voted for by internet users. SF & Fantasy Books Online: Links to dozens of free online texts including some real classics. The Lump On-Line: Including the Teletubby execution chamber and Dark Lord play by email. Dexco's Web pages: Pages on the Amiga and Heavy Metal. Slight change of policy. I'll link to a variety of SF and Fantasy related sites, but if a site wants a graphical link then they must offer a similar link in return.. You can link to us with the graphic provided below. The Fantasy & Science Fiction mailing list: A forum for the discussion of fantasy an SF in all its forms, books, tv and movies. In return I will add either a text or graphic link to your site from this page. The URL will also be sent to the mailing list itself.